Dancing Forest is Live at Artscape! 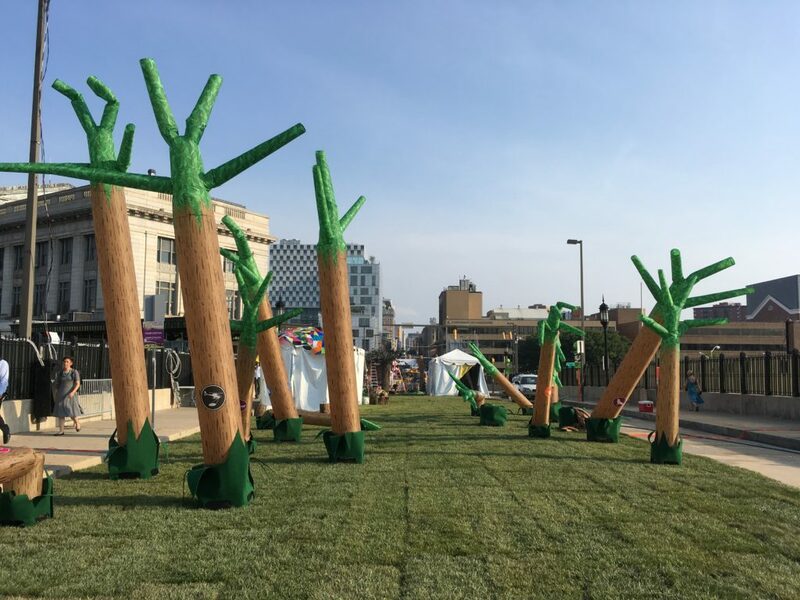 Come down to the Artscape Charles Street Trail this weekend, July 21-23, to explore Dancing Forest, a kinetic environment of inflatable trees emblazoned with trail markers identifying Baltimore’s many classic places, features, and customs. Participants are encouraged to walk among and explore the the animated trees as they undulate in the sky. Up close, one will find an array of urban trail symbols, such as benches, snowballs, bikers, and buildings. Internal LED illumination of the sculptures allows nighttime exploration. 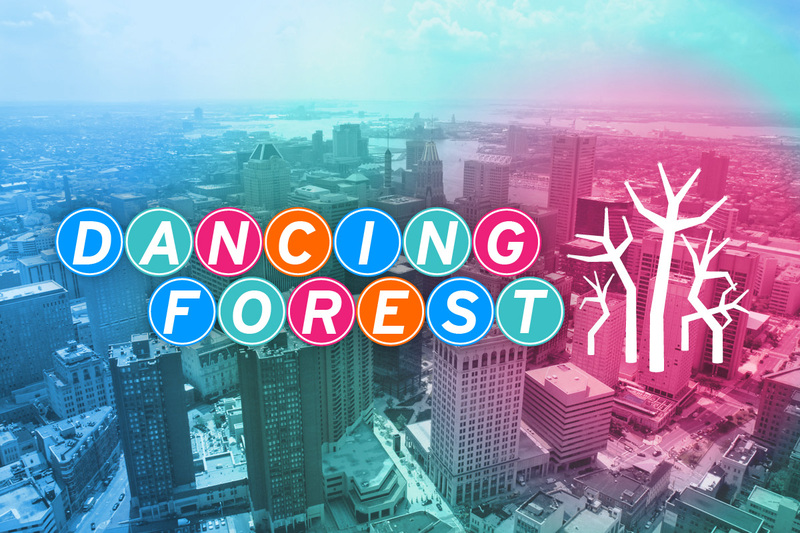 Combining spectacular movement with urban wayfinding symbols, Dancing Forest creates an exciting, playful environment meant to inspire participants continue exploring Baltimore’s many intriguing places. The Charles Street Trail is located on Charles Street between Penn Station and Lanvale Street. Click here to learn more about Dancing Forest and its trail markers. Post your pictures to social media using the hashtag #DancingForest @grahamprojects for likes and retweets!